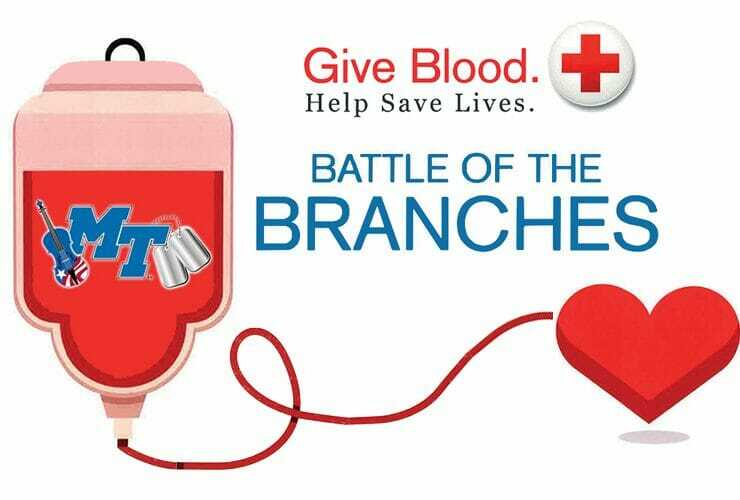 There’s been plenty of sweat and tears shed over this election, so why not shed a little blood at MTSU Tuesday, Nov. 8, in honor..
MTSU’s fraternities and sororities are taking strides to ensure this year’s Greek Week Blood Drive will be much more effective than in previous years. 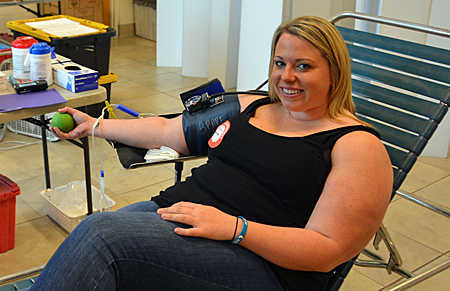 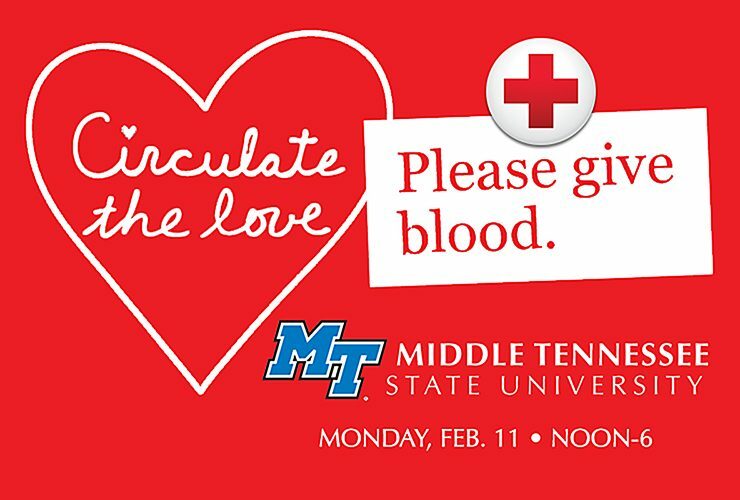 Greek..
MTSU is clearly proud to bleed “True Blue,” as dozens of donors rolled up their sleeves for the first day of the university’s three-day True..
Every two seconds someone needs blood. 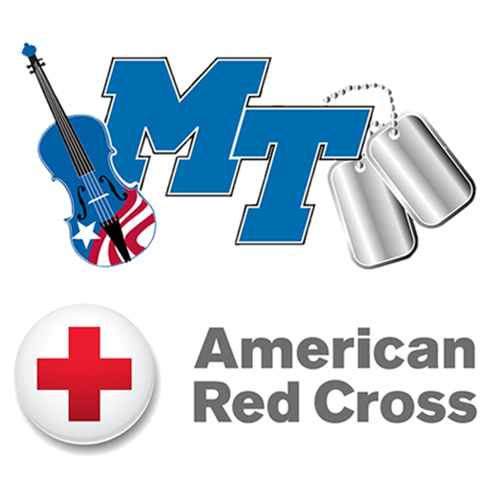 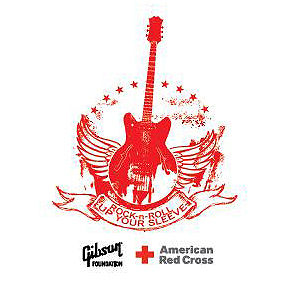 What better reason to give a gift that really means a lot during this holiday season? 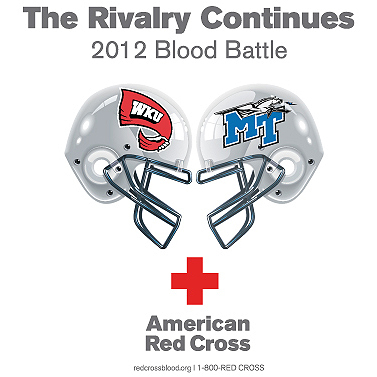 If you were..
Producer/Host: Gina Logue Guest: Regina Raccuglia Synopsis: The third annual Blood Battle between MTSU and Western Kentucky University highlights the need to donate blood throughout the..
More than 3,700 people will have another year of living, laughing and maybe even cheering at an MTSU-Western Kentucky game, thanks to a “blood battle”..
Get plenty of rest and eat healthily so you can join MTSU’s Rock-N-Roll Up Your Sleeve blood drive on Thursday, June 28! 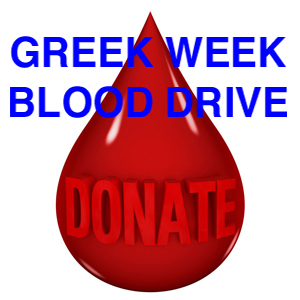 The drive will..